This quilt was started as my first project when I got back into quilting in 2005. I took a beginner’s class at New Pieces in Albany, CA. The center block is paper-pieced and the rest of the blocks are basic log cabins. 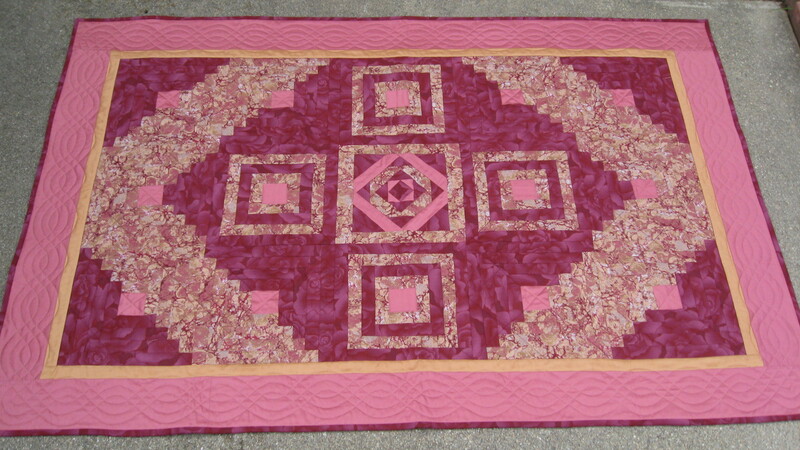 I donated this quilt to the Day at the Races fund raising raffle for the Zonta Club of Berkeley/North Bay. It was won by my good friend, Barbara Fleming. Oddly enough, Barbara is the one who talked me into donating the quilt when we were in Florence drinking a lot of red wine a few months before.